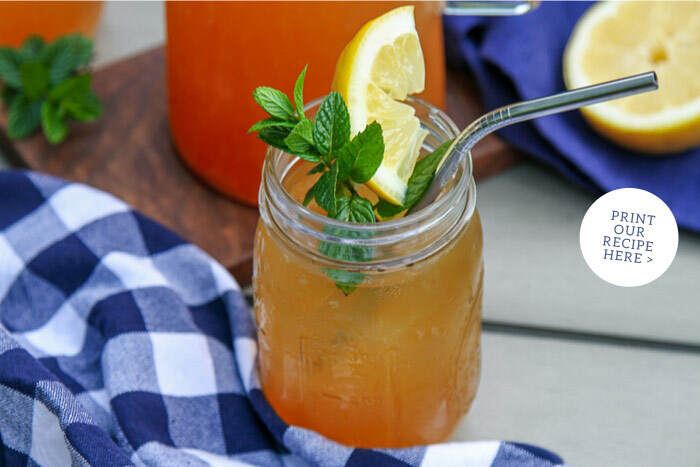 A pitcher of minty iced tea lemonade makes a pleasant companion for a crab boil! 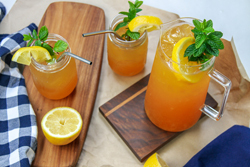 The fresh brewed iced tea, hand-squeezed lemon juice, and hint of minty sweetness pairs well with the crab feast. 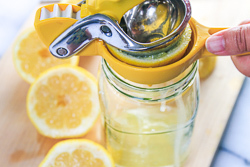 Be ready for this refreshing and satisfying pitcher to be enjoyed heartily. 1. 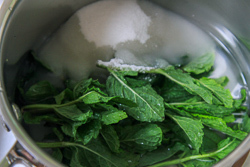 First prepare the minted simple syrup: Combine the simple syrup ingredients together in a small saucepan over medium heat and bring to a boil. Remove the mixture from heat and let the syrup cool completely. 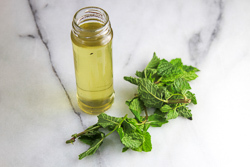 Strain to remove the mint leaves, and reserve any leftover simple syrup for other uses-- this recipe makes more simple syrup then needed for this recipe, (unless you prefer very sweet tea!) but leftovers will be wonderful to use in other beverages, or even drizzled over melon balls. 2. 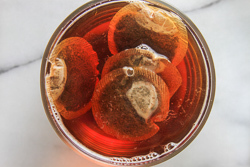 Boil 4 cups of water and pour over the tea bags into a large, heat-safe pitcher. Cover and steep for 10 minutes. Remove and discard the tea bags. Allow to cool. 3. Stir in the remaining 4 cups of water and fresh lemon juice. Slowly stir in the simple syrup, sweetening to taste. Top off the pitcher with ice. 4. 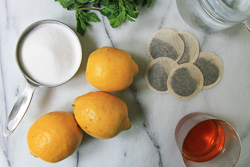 Serve over additional ice with a garnish of mint and a slice of lemon.